I worked with a team of 5 students on a game titled “Zone Run”, a platformer-runner similar to Mirror’s edge, but with the theme of a factory in a sky city. 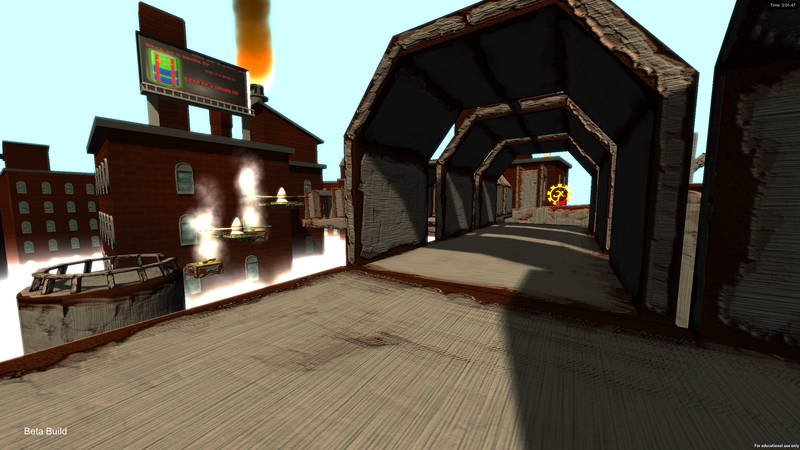 I authored the special effects and shader code, and programming various things in the game. I didn’t have much of a voice in design; I wasn’t part of the team initially, and several of the members were adamant that they shared a vision, yet had no design document. The content I’ve done for this game started out with tool programming, then switched to level design (design changes removed the levels later), and then AI programming (design changes removed all AI later). Eventually, after much hardship in obtaining/creating design documents, the group and I agreed that I could just focus entirely on graphics programming, which is great since most things I do shouldn’t be removed by design changes, and no one else in my group knew how to do it. 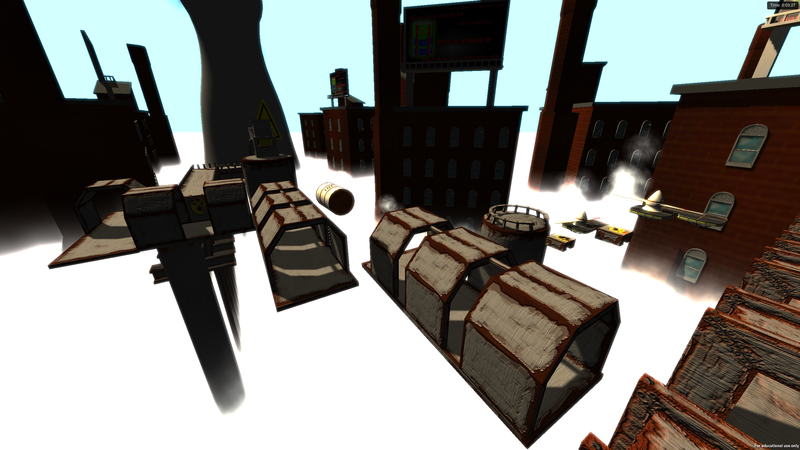 A vertical cloud effect that reconstructs worldspace using the depth buffer, and shifts a 3D fog texture around. I’d like to say I have learned from this project, but I called out everything that happened, and all I could do was try to mitigate the problems that arose. I was switched groups 4 months into production. The new group, Nova Rider, was never united on the design of the game, which led to several “design overhauls”, but none of them producing a design document. When we were mostly united and started to make good progress (although still no design document), 3 of the members received some feedback from some folks at a AAA studio, but I can only assume made some heavy interpretations, as they all voted to redesign the game once more(to some really, really crazy ideas that were way out of scope), with a month left in development. Only in the final 2 weeks of development did the college professors step in and override the votes, forcing the design back to the pre-feedback version. This game is the result of that and two weeks of work. Our 3 designers were also the artists, and hadn’t textured a single structure until the week of the final release, with some help from the other programmer and I. We’re also missing some assets such as the barrel dispenser, which is why oil drums float in the air. We ended up with a short one-minute level that was a hit with competitive players who wanted to beat their friends’ scores. The lesson I would take away from this is: Not everything is going to turn out well, no matter who you are or how you plan things. Sometimes you just learn who not to work with. And hey, I did learn some new graphics algorithms from it!